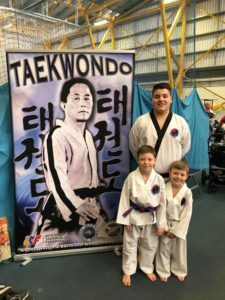 The 2019 GMS XXI Open Championships were held on Sunday 3rd March in Motherwell, Scotland. Three North West Spirit students were in attendance, and all three did the club proud. 5-year-old Olly Gargan won a bronze medal in sparring, while big brother Owen took silver after a very close final round. Teammate Connor Murphy fought well in the junior black belt sparring category, but unfortunately missed out on the medals this time.